According a recent interview published over dpreview what we came to know that Canon is still thinking about the possibilities of a professional mirrorless camera in the market. Q: Dual Pixel AF is a technology which has huge potential for mirrorless cameras. A lot of our readers are still very hopeful for future Canon enthusiast mirrorless models. Is there anything that you would like to say to them? A: Obviously I can’t be particularly concrete when talking about our future product planning, but this is something that we are looking at. Something that is under consideration. There are some features, such as AF, which have not yet caught up with DSLRs, so given the current state of affairs it would be a little unrealistic to say that we will suddenly start offering a professional mirrorless camera. There’s still a performance gap that needs to be addressed. Q: If we assume that at some point in the future Canon will create an enthusiast or professional mirrorless camera, what are your benchmarks? A: This is just my personal opinion. In my view there are two key features that have to be addressed. The first is autofocus, particularly tracking of moving subjects. The other is the viewfinder. The electronic viewfinder would have to offer a certain standard. If those two functions were to match the performance of EOS DSLR camera performance, we might make the switch. Nothing is clear from interview, however we do have published some patent related Canon fullframe and APS-C sensor based mirrorless camera. 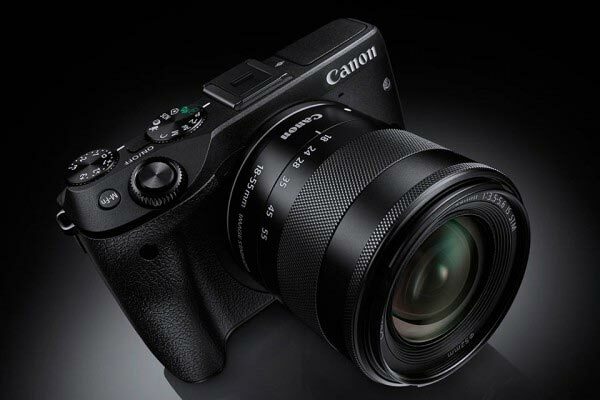 Canon M5 First Look ? It SHOULD be coming soon, in my opinion.